Following up on last week’s Instagram of the Week post on connected learning, this week’s installment continues the discussion of libraries as connected learning centers by focusing on the importance of collaborating with other organizations in the community. The Future of Library Services for and with Teens report explains that, in the past, library staff have been seen as the “information keepers” who hold the answers to patrons’ questions. However, this role of the in-house expert is shifting such that library staff should be seen as co-learners, guides, or facilitators who learn alongside patrons as they link teens to information and resources. By forming connections with teens and discussing their interests and passions, library staff can establish new avenues to support teen interests and learning that go beyond what libraries could traditionally offer. Seeking experts and organizations in the community that relate to teen interests provides an opportunity to establish partnerships and collaborate on programs that directly support teen needs. These types of connections are important as they provide opportunities for hands-on learning experiences and put teens in contact with experts and leaders in fields of interest who can serve as mentors. From local elected officials and television newscasters to animal shelters and music schools, this week’s featured Instagram images highlight the types of programs libraries are offering as a result of collaborations with local individuals and organizations. 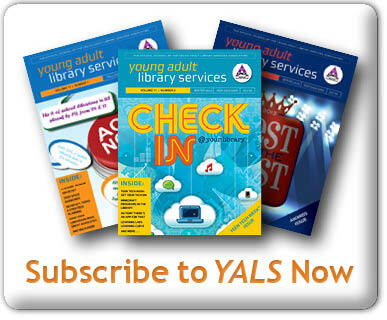 Has your library established community partnerships to support teen interests? Tell us about your experience in the comments section below. How did you determine teen needs? Whom did you contact to establish partnerships? What outcomes have you observed as a result of your collaborative programming? Earlier this month, I was in a pinch preparing a sample craft for an upcoming children’s program and turned to my teen volunteer group for help. The goal was to make a sand bowl, a mixture of sand and white glue poured over bowl covered in plastic wrap. Once it dries, the bowl and plastic wrap are removed and — voilà! — a sand bowl. Despite following the directions I found online, my initial creation looked like the perfect example for one of those Pinterest expectation vs. reality memes. With the program coming up in a few days, I needed to make more bowls to determine the best glue to sand ratio for making a successful, pourable mixture. My teen volunteers were more than happy to take a break from our usual course of action and get their hands dirty with this craft. Much giggling ensued, food coloring was requested (which took the bowls to another level! ), “This actually counts as volunteering time?” was asked several times, and together we figured out the best bowl recipe. Both our meeting and the bowls were a success, but more important is what happened in our following meetings. At the following volunteer meeting we were brainstorming ways to decorate for Valentine’s Day. One of the students who assisted with the sand bowls offered to show us how to make tissue paper tassels that we could string together and hang. She picked out what she needed from the craft closet and taught us all (myself included) how to make them. The following week, she walked into our session and proclaimed, “I just learned how to make these hanging paper hearts I found online. They’d be perfect for us to make today and add to the [Valentine’s Day] display!” In preparation for our meeting, she had looked online for something else we could make, learned how to make them, and then offered that knowledge to the group to teach all of us. Needless to say, I have adjusted my approach with the teen volunteer group! I now allot time during our sessions for anyone with an impromptu activity for the group and within reason, supply necessary materials. It’s as if the floodgates have opened and, perhaps because a newfound feeling of staff support or camaraderie, ideas for future programs are pouring out of the group. 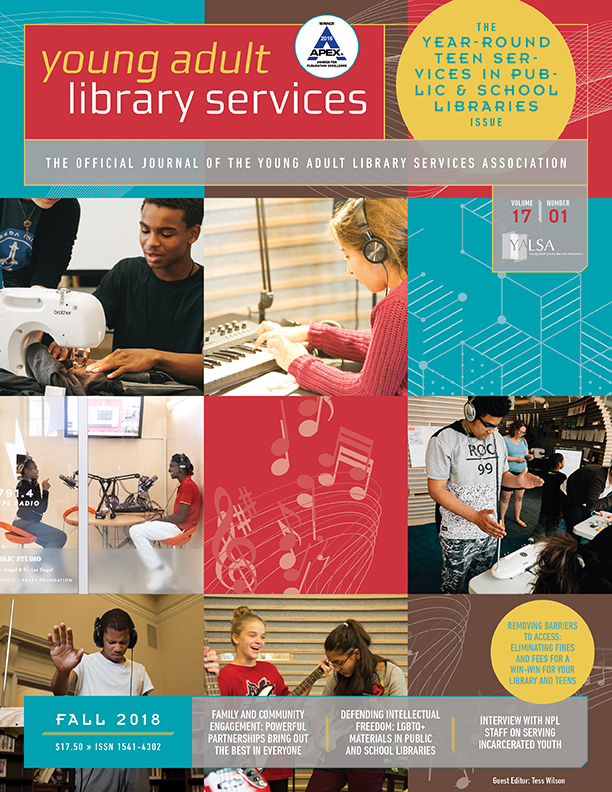 The Future of Library Services for and with Teens report discusses the importance of connected learning and how libraries can act as a connected learning center for teens. Connected learning is the learning that occurs when passions and interests are combined in a social atmosphere with peers and adults to gain knowledge that extends to academic, civic, or career related endeavors. 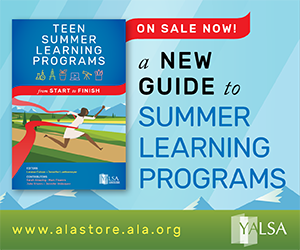 In order to support this type of learning, library staff must form connections with teens, discuss their interests, and collaborate to develop programs and collections. The Futures report also provides that library staff should not shy away from taking risks to determine what works, and changes will be made based on the current needs of teens. Outcomes of adjustments made to programs and collections as a means to foster connected learning are measured by new skills and knowledge gained. As with my example of the sand bowls and subsequent craft ideas, with a few spur of the moment changes, you never know who you might empower to step out of their shell, share with the group, and lead! As Winter Storm Jonas made its way along the East Coast, libraries took to Instagram to reach out to their patrons. Many posts were designed to notify patrons about changes in library hours or closures, remind everyone of the library resources that can be accessed 24/7 from home, and poke fun at how much time we’d have to catch up on the books we’ve been meaning to read. Book and media displays soon looked as bare as supermarket shelves as patrons flooded in to stock up on library essentials! This week’s Instagram roundup serves two purposes: to showcase the fun things happening in libraries as the holiday season comes to a close and to provide some inspiration for a teen Instagram takeover. It’s hard to scroll through Instagram without seeing an account that has been temporarily taken over by an outside person as a way of collaborating, sharing content, and introducing followers to other accounts and topics of interest. Many schools are jumping on the bandwagon and allowing students to take over their Instagram account for a day or week to highlight what it’s like to be on campus. For examples, take a look at Nazareth College’s Student Instagram Takeover page or Jamestown Community College’s Instagram Takeover Application. If you aren’t ready to take the plunge and host a teen takeover on your library’s account, you can still involve teens by having them find and create content to post. 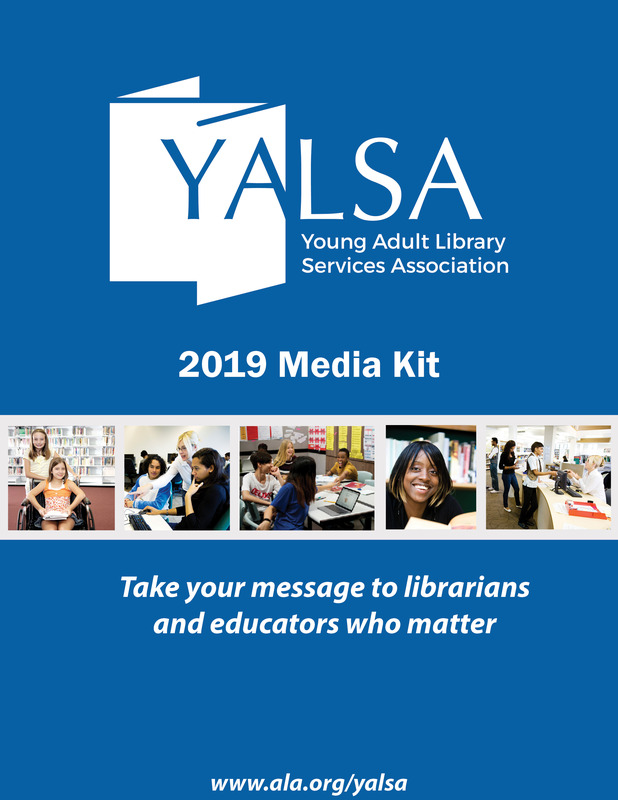 The Future of Library Services for and with Teens report explains that libraries are no longer a place for users to connect with just print resources, but also digital resources, library staff, community leaders, and peers. However, the report also notes that the likelihood of teens owning or having access to a computer, tablet, or smartphone varies across socioeconomic and racial demographics. Libraries are in a position to provide teens with opportunities to use these digital devices and gain experience with the photo/video editing software and apps that come with them. Although the images and videos selected for this week’s column may not have been created or posted by teens, they provide examples of the types of content teens could create for the library. For instance, teens could take a video of a program in action or photograph a display they created by using the library catalog to find materials with specific themes or cover art. By experimenting with different apps, teens can learn how to use effects, combine music with images or video, and have fun creating content for upload on the library’s account. Seeing their work uploaded may not only make them proud of their efforts and be inspired to continue to try new things, but can also encourage them to follow the library’s social media accounts. Getting teens to follow (and continue following) the library on social media is tricky, but gaining followers allows us to maintain connections with our teens once they’ve left the physical library space. Have you hosted a teen takeover on your library’s Instagram account or asked teens to help create content? If so, we want to hear from you! What type of content did they create? If you hosted a takeover, how did you recruit teens who were up for the task? 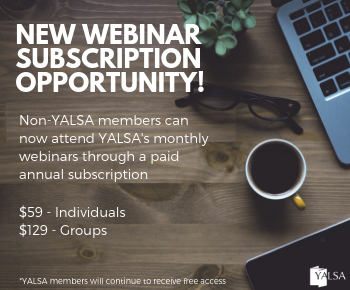 By Meaghan Darling December 14, 2015 December 14, 2015 School Libraries, YALSA Info. It’s hard to believe that half of December has passed and we’re nearly into 2016! With the countdown to Winter Break comes a familiar scene to those in academic, school, and public libraries — groups of teens stopping by to study for finals or work on projects and papers. As they set up camp in our study rooms or computer areas, plug their gadgets into every available outlet, hook up all of their devices to our wifi, and take over the group study tables, their eyes are a mix of focus and stress. What can we do help alleviate some stress and add some fun to their day? Have the Finals Fairy come for a visit! This past week several academic libraries were visited by the Finals Fairy who left hidden treasures for students to find. Through posts on Instagram, students were encouraged to participate and received clues as to where gifts of candy, Red Bull, coloring books, and coupons for free coffee were stashed in the library. Gifts were not hidden all at once, but were spread out throughout the days of finals week. The Future of Library Services for and with Teens discusses how the majority of today’s teens are online, use social networks, and are accustomed to 24/7 access to friends, family, and peers. Hiding goodies in the library and posting about it at all hours of the day (and night) is a way for libraries to engage with teens both in a fun way and on their time schedule. A game such as the Finals Fairy can be used to highlight specific resources and collections that are useful to student projects in addition to non-school related items such as the entertainment DVDs. Although the selected Instagram images are from academic libraries, the Finals Fairy could visit any library where teens and patrons are feeling the end of the year crunch. Not only is it finals week for students, but we are also in the midst of the holiday season and libraries are decked out in book-themed decorations. This year many libraries are constructing snowmen, fireplaces, and trees out of books complete with lights, scarves, and faces. Has your library made one of these displays? We want to hear from you! How do you determine which books to use? Are the books from reference, donations, weeded items, or current items from the collection marked in the catalog as unavailable or on display? Have you ever had a patron who wanted a book from the middle of the display? Could be a fun winter project to get your teens involved with! International Games Day (IGD) took place on Saturday, November 21 as libraries worldwide hosted an array of gaming events. Now in its eighth year, IGD is guided by the American Library Association (ALA) in collaboration with Nordic Game Day and the Australian Library and Information Association. Participation is free, and libraries can request game donations from sponsors or opt to join online international games such as this year’s Minecraft Hunger Games tournament and the telephone-style game, Global Gossip. In addition to highlighting another way that libraries offer more than books, IGD provides an opportunity for teens to participate in an intergenerational program that is social, educational, skill-building, and fun! Participating libraries offered a variety of activities from tabletop games to life-size versions of Twister, checkers, and Scrabble. Some libraries also provided an opportunity for teens to try their hand at new technology through video games, virtual reality gaming, Lego Mindstorm activities, augmented reality sandboxes, and iPad games. The Future of Libraries for and with Teens report suggests that libraries give teens the chance to experience technology tools and devices in an informal setting, and IGD can provide such occasion. Did your library participate in International Games Day? Have you hosted teen gaming events at your library? Share with us in the comments section below! Please visit the International Games Day website for more information about this worldwide event.